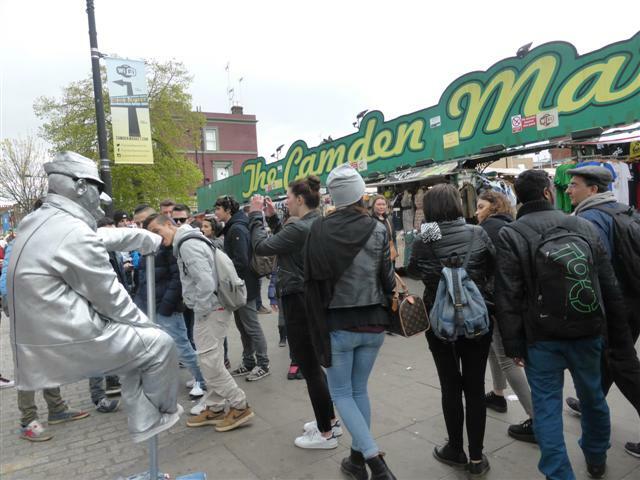 If you pay a trip to Camden, you can dress as weird as you like and you still won’t be noticed in the eccentric crowds. Believe me, however weird you look, many people there will look a lot weirder than you! Tall, pink spiky Mohawks and nose studs are optional. 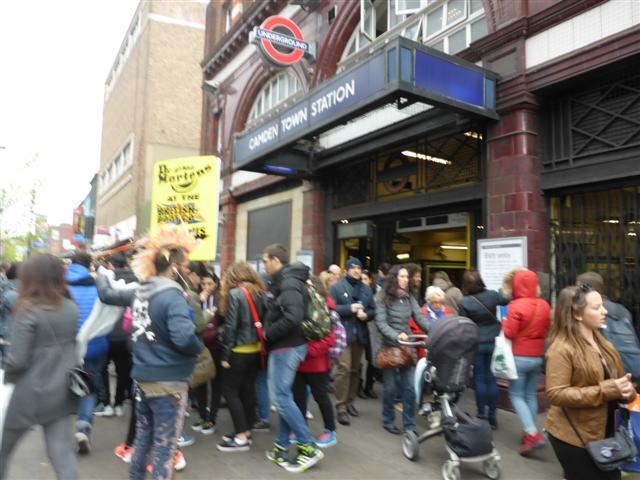 I went there on Sunday, getting off at Camden Town Underground. As many as 100,000 people visit the area at weekends and it was packed! Music blared out from every doorway and market stall, and street performers were well-spaced out along the road. 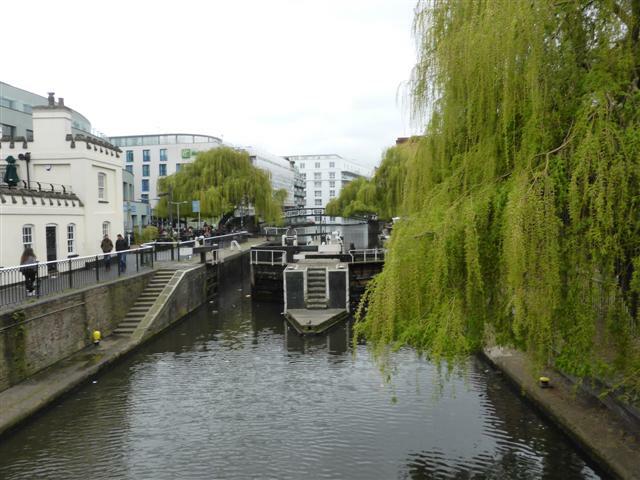 The Regent’s Canal runs under the road, with Camden Lock surrounded by market stalls. There are several markets, which began to appear and grow in the 1970s. People loved them because they could trade on Sundays. And although they’re open every day now, Sunday is still the busiest day. 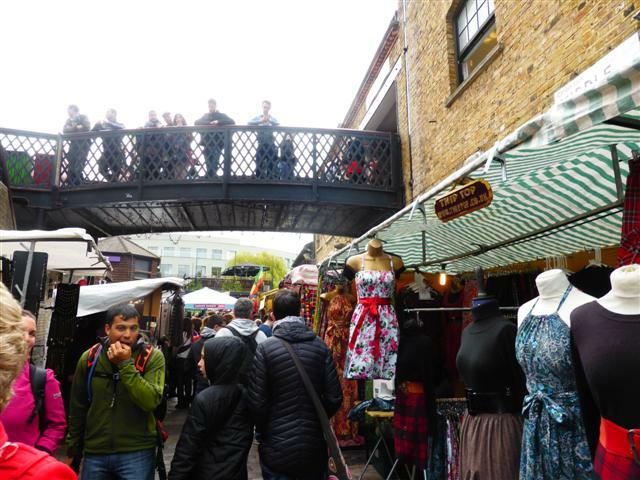 There was a large fire in the Camden Canal Market in 2008 that was attended by 100 firefighters, and another one in the Stables Market in 2014 that needed 10 fire engines and 70 firemen. 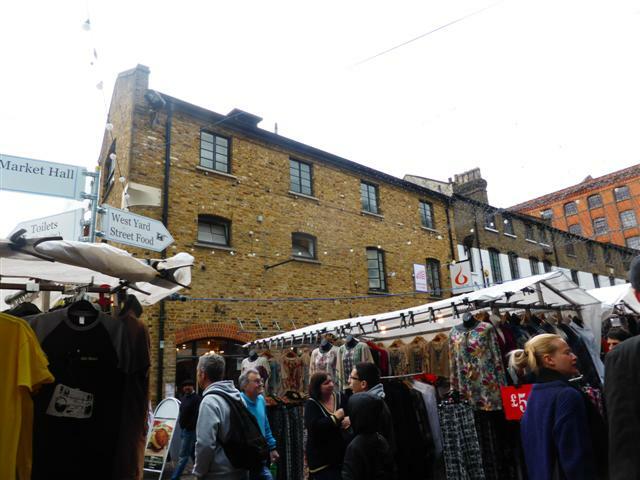 Camden Market is so tightly packed that it’s an effort to walk round it. Stables Market has more room. 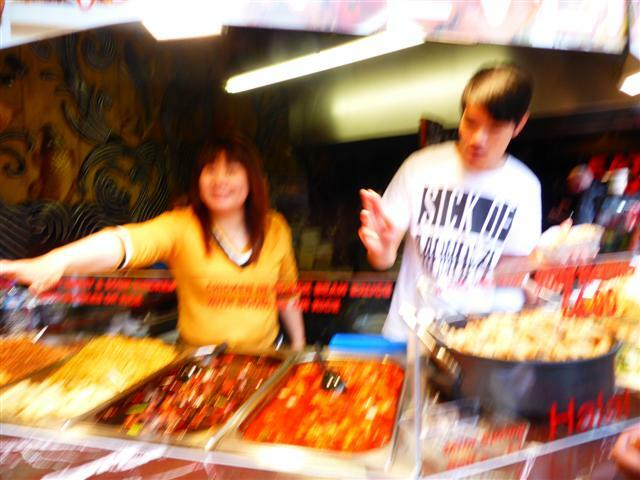 The market food is excellent, and you don’t need to worry about hygiene. Apart from being strictly supervised by ‘Ealth & Safety’ the turnover is rapid, so the food is as fresh as it’s possible for food to be! I had a Chinese selection; as much as can be fitted in a foil container. It was a generous meal, delicious, and it cost me just £4. 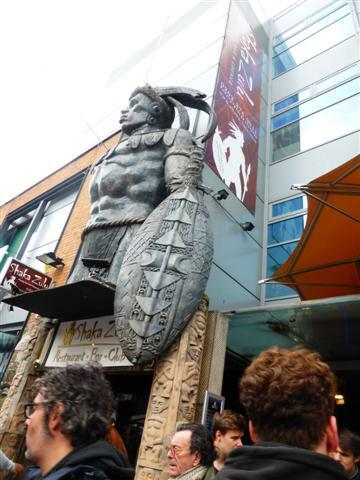 In the Camden Lock Market is Shaka Zulu. 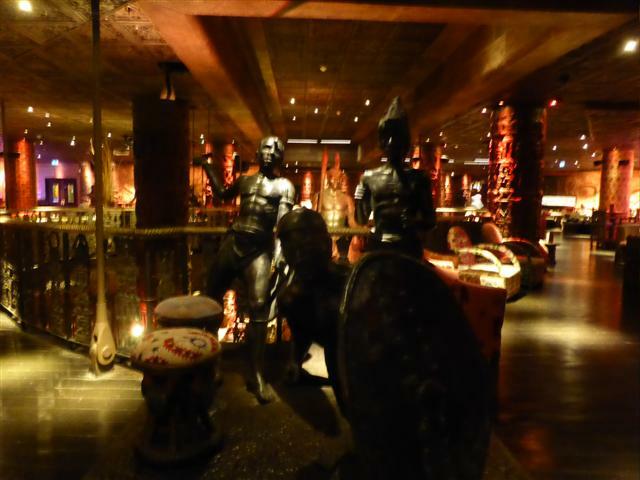 It’s an African restaurant, with the most amazing décor. I think it’s one of the most visually stunning restaurants in the world. The carved figures at the entrance give no clue as to what is below! You travel down on an escalator, where the restaurant’s massive area opens out in all directions underground. There are huge carved figures about 20 ft high, and a hand-carved wood wall with a life-sized African elephant. The roof had to be taken off to allow all the furniture and ornaments to be lowered in by cranes. The food is all African, and you can dine on zebra, wildebeest, crocodile, and other surprising things! The wine is African, with a large cellar to choose from. And the cocktails are wonderful! I’d reviewed the restaurant a couple of years ago, so I thought I’d go and see if it’s altered at all, and escaped from the Markets’ mad mayhem for a while. Oh what a relief to step into peace and a huge space! I’m a country lass and I can only put up with being squashed in crowds for a short time. Tebo, the manager, greeted me like an old friend and sat me at the bar to recover. The cocktail barman mixed me a De-Harrassment, which was just what I needed! It was a mixture of Gold rum, passionfruit puree, ginger and lemongrass cordial, apple and pineapple juice, lemon juice, and a dash of sugar for balance! Talking about balance, the balance of the fruit and rum was perfect, and made me feel much better! 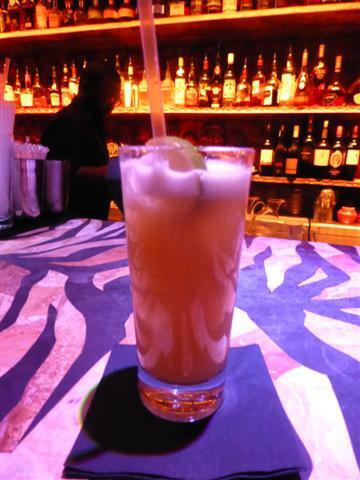 I then walked along the road to The Forge, a charity-run music venue with a bar and restaurant, to attend a Cuban Night. More about that in another article! Then I caught the Underground, and my train home. I really enjoy a day out in London. There’s so much to see. And it helps me to have a good night’s sleep afterwards!